You are here: Home / Bring the Heat Blog / How Hot Is Tabasco? Despite being named after a Mexican state, the legendary Tabasco sauce actually comes from Louisiana. It is arguably the only American hot sauce with a truly iconic status. 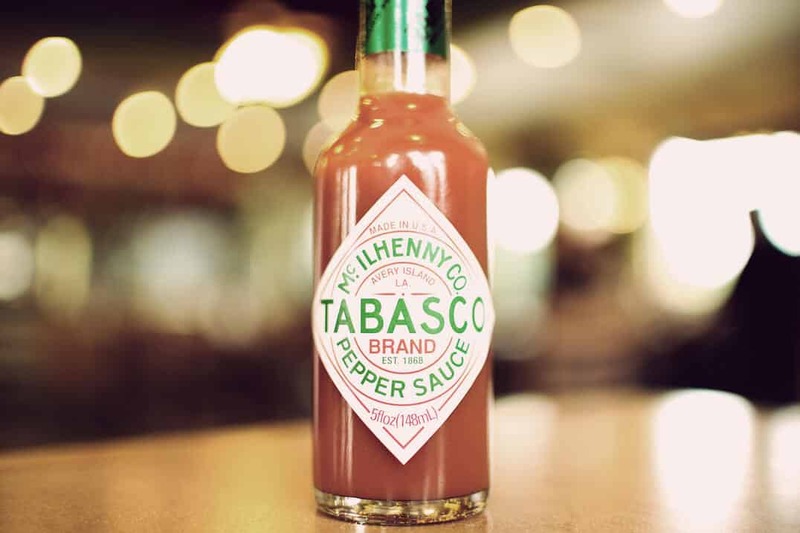 First made in the 19th century, Tabasco sauce was probably the spiciest condiment available at the time of its invention. 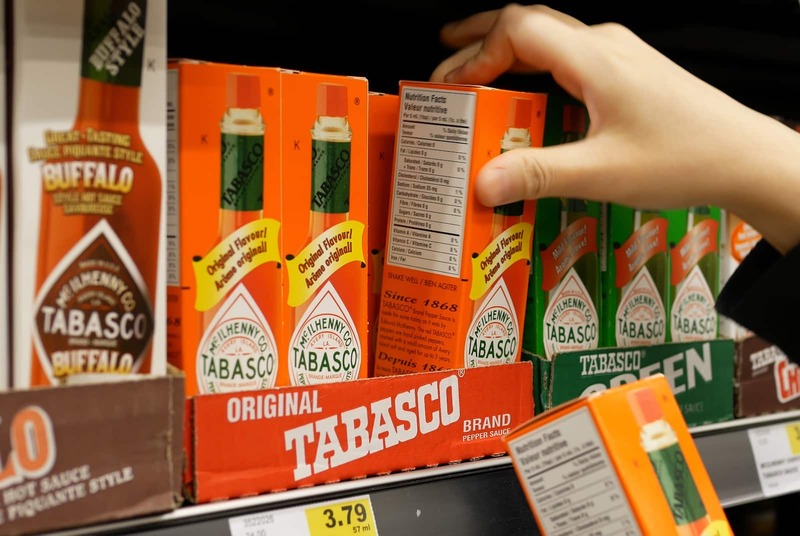 Even today, some Americans enjoy Tabasco’s level of heat and consider it to be a more than adequate level of spiciness. But is Tabasco sauce really as hot as its reputation seems to imply it is? Where does it rank on the Scoville scale? To understand how hot Tabasco sauce is, let’s consider a few important factors. The type of chili peppers used to make Tabasco sauce are called tabasco peppers. They are far from the hottest peppers around, but they are not exactly mild either. 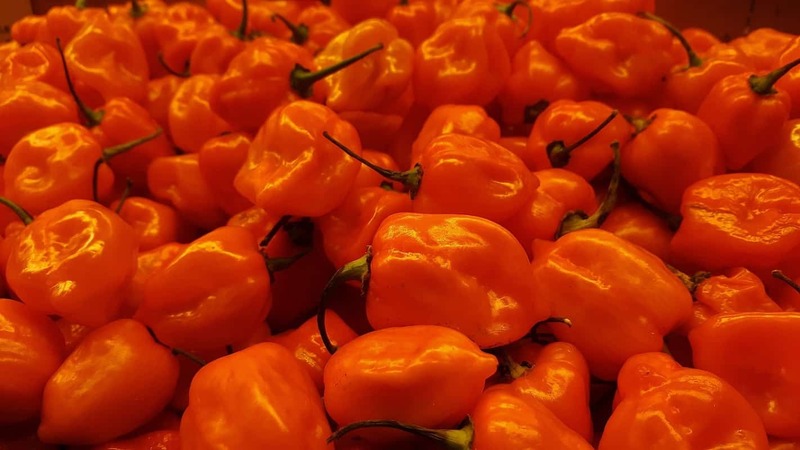 They clock in at about 30,000 to 50,000 on the Scoville scale, which means that they are moderately hot. Their heat level is close to that of cayenne peppers. For a better understanding of their heat, consider the fact that jalapeños don’t get hotter than 8,000 Scoville Heat Units (SHU) while milder habaneros will rank a scorching 100,000 in comparison. Tabasco peppers are around the midpoint between those two. While tabasco peppers are moderately hot, the red sauce for which the brand is known is much milder. Tabasco brand’s flagship pepper sauce will give you between 2,500 and 5,000 SHUs, with the lower likely being a little more the norm. 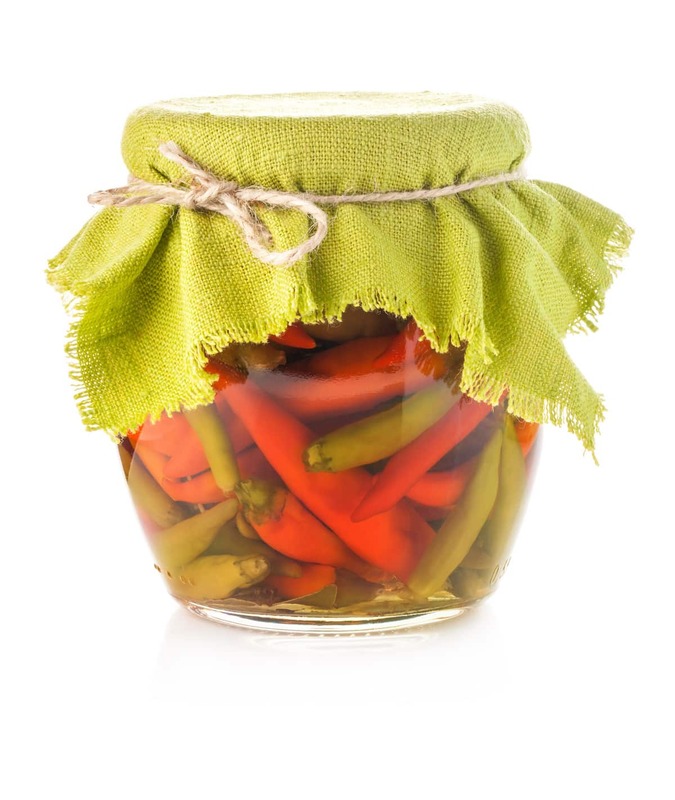 The dramatic loss of heat – to jalapeño pepper level – is a result of how the peppers are processed to make the sauce as well as the sauce’s other ingredients. In order to make Tabasco sauce, the chili peppers are first ground to a paste called a mash. Most of the mash is made at tabasco pepper farms in Central and South America. The mash is combined with salt and placed in repurposed bourbon barrels which then get shipped to the U.S. The barrels are stored in a warehouse on Avery Island, which is the home of Tabasco sauce. The salted mash is aged for three years before it is used to make the sauce. After three years, it is combined with vinegar to dilute it. It is aged a further 28 days before being bottled. While the aging may add heat to the chili pepper mash, the dilution, of course, tempers the overall heat quite a bit (like with any hot sauce). The flavor profile of Tabasco sauce is a relatively simple one. The red sauce consists of only three ingredients: chili peppers, salt, and vinegar. Those three seasonings are all that you taste. In comparison, other popular hot sauces may contain numerous elements that can dilute their heat even further from their pepper origins. That said, the classic Tabasco red sauce is not exactly a go-to hot sauce for serious lovers of spicy foods. It’s not even the hottest sauce that Tabasco makes. Their habanero sauce delivers more than double the heat at 7,000 SHUs. Though, it is a step up from Sriracha, albeit a small step, with Sriracha tapping in at roughly 2,200 SHUs compared to the 2,500 of Tabasco. Its a more family-friendly level of spiciness, better suited for people who partake of hot foods occasionally or who are newcomers to the world of hot sauces. You can taste the oak in the classic Tabasco sauce and the sharp vinegar spikes through when used on fresh oysters and in sauces. I find it a useful seasoning. A lot of Southerners prefer the unaged red sauces like Franks or Crystal’s for cooking. Several times, I have encountered various Jalapenos and serranos chiles that really blew my mouth out when most seem mild to me. A recent purchase of serranos at a local Safeway was unbearably hot but they looked too long (4 inches and a sharp pointed tip doesn’t look like a serrano) to be a standard serrano chile and may have been a mislabeled Indian green chili or a sport that was shipped in error to our local Safeway store. I seem to taste peppers on a log version of the Scoville scale and don’t really experience the C chinense family the same way as the really hot C. annuums. I mean I have bought multiple packs of those greenhouse grown ghost peppers and found them to almost mild! Could be the way they are cultivated. I have grown out acres of peppers in the hot summertime temps of the CA Central Valley and after the aphids git, the peppers all responded by becoming almost inedibly hot. Home grown C baccatums (Chile Manzanos) become super irritating when consumed fully mature but taste very fruity and have almost no heat wen the seeds are not black and mature. The Scoville scale measures the absolute amount of capsaicins in the pepper pods but we seem to have a highly variable response to different capsaicins, at least I do. This is what makes serving spicy pepper hot food to customers so difficult. We all can react differently to the same amount of pepper heat.